In the US, the most abused type of prescription drugs are pain relievers. This may include Hydrocodone (Vicodin), Oxycodine, Morphine, Codeine, Hydromorphone and others. 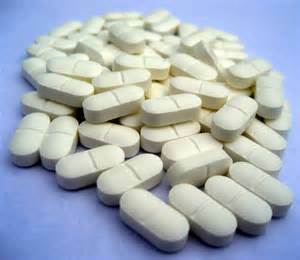 Hydrocodone was actually The Most Prescribed drug in the US up until 2015, at over 130 million prescriptions annually. Once the DEA reclassified Hydrocodone as a Schedule 2 controlled substance in 2014, the amount of prescriptions dropped by 30% quickly. Despite this reduction, the number of unintentional overdoses from prescription pain relievers continues to increase. So it hasn’t really helped! It’s just shifted the use to other pain relievers. It’s more important than ever to be able to identify individuals who are abusing prescription pain relievers and get them the help they need before lives are ruined. Appearance: Constricted pupils, tied and drowsy. The person may be nodding out but still trying to talk and not realizing it. Paraphernalia: Quite a few abusers crush their pills and snort them. They may accidentally leave rolled dollar bills or short straws or mirrors around. If it’s being injected, there may be syringes or rubber tubing. Mood: Opioid use may lead to anxiety, mood swings, depression along with poor memory and concentration. Also outbursts of bad temper. Constipation is a common side effect, which may lead to purchase of laxatives or other remedies. Neglect – this may include neglecting personal appearance, work and/or school. Money issues – prescription pain relievers are not cheap. So the individual may be spending so much on them that they avoid spending on other necessary items in life, like their kid’s clothes, fixing the car. The other end of the spectrum may occur too if the person starts dealing to support themselves and expensive items may start to appear out of the blue. New Friends: A whole new set of friends may appear as life begins to revolve around the prescription drugs. Family and friends may lose touch, with the new ones being users and dealers of the drugs. Money The person starts to ask for loans, steal items from the homes of family members. When pressed on the reason for the loan, the reason may not add up. Partying: The person may talk about partying and drinking more than ever before. Long Sleeves: May wear long sleeved clothes to hide IV drug use. It’s important to understand that when prescription pain relievers become unavailable, a lot of addicts will simply turn to illicit avenues. This often includes heroin, which is less expensive. Compared to prescription medications heroin is a disaster. The biggest problem is users have no idea what the quality is as it is usually “cut” with something. Another issue is it’s typically injected, with the risks of shared and reused needles leading to potential infections. At a certain point the individual turns from a functioning addict into a downward spiral, and the signs of drug abuse begin to show. The sooner it can be noticed, the quicker help can be administered. US Rehab Network offers top notch, customized rehab options which include very high success rates for prescription pain reliever abuse. Typically no out of pocket monies are necessary and we have financing options too. Call us at (888) 598-0909 today!